We belongs from Poor family. My sister Pooja Kumari..she is very studies girl. She wanted to persue her engineering and she got seat through govt kota in Bangalore. 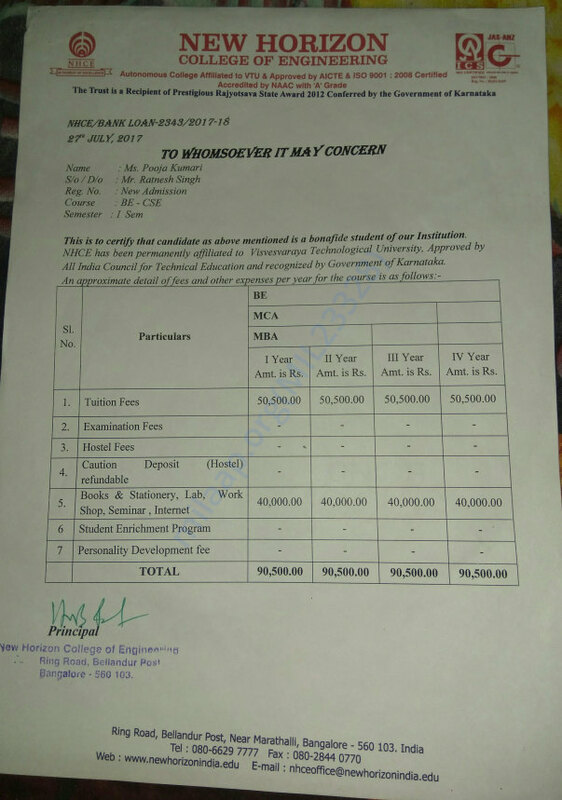 Due to financial situation we could not able to pay her tuition fees and hence it's difficult for her to persue her education. 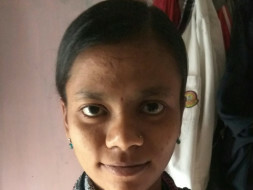 She secured more than 91% marks during her 10th and 12 the standard. 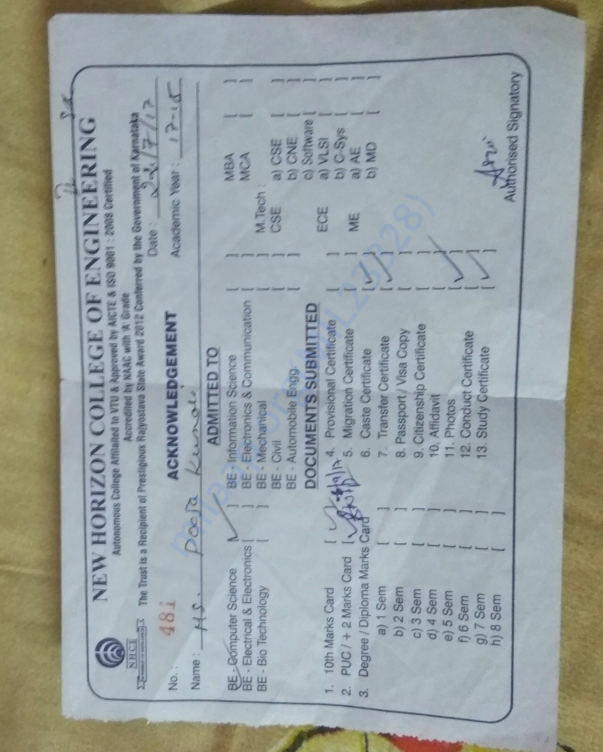 This is Pooja Kumari Admission card while she joined the College. 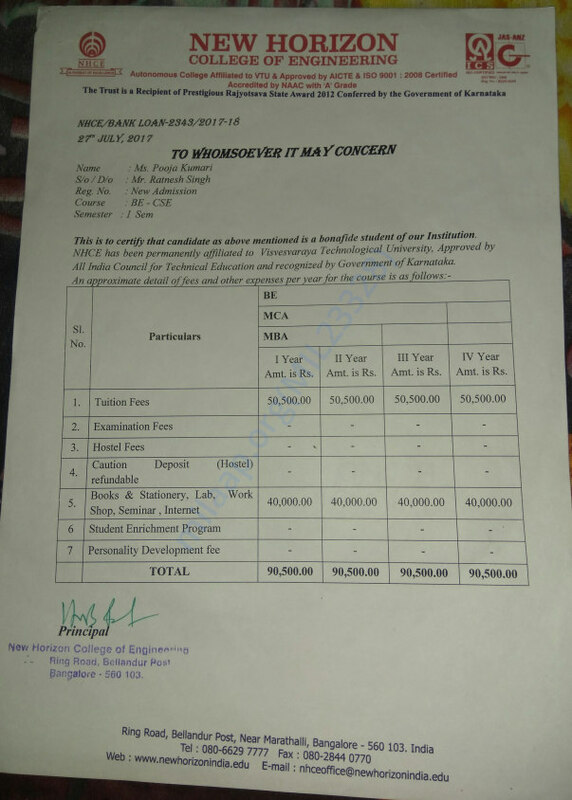 This is the fee structure of college she got while admitting. Thanks for the Ultimate help provided By all of you. i kept this fund raising in proper way. Need to pay to my sister education since her collge got started.